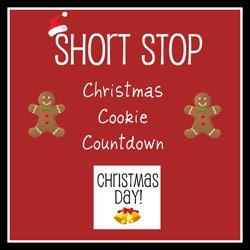 We made it to the end of our Christmas Cookie Countdown! It's Christmas Day! Our last cookie had to be something really, really special. Something that would really "wow" the boys and show them how proud we are of them for all of their hard work! So, we built and decorated a Gingerbread Train. We bought a pre-packaged version from the Land of Red and White, and the boys are in complete awe of it. 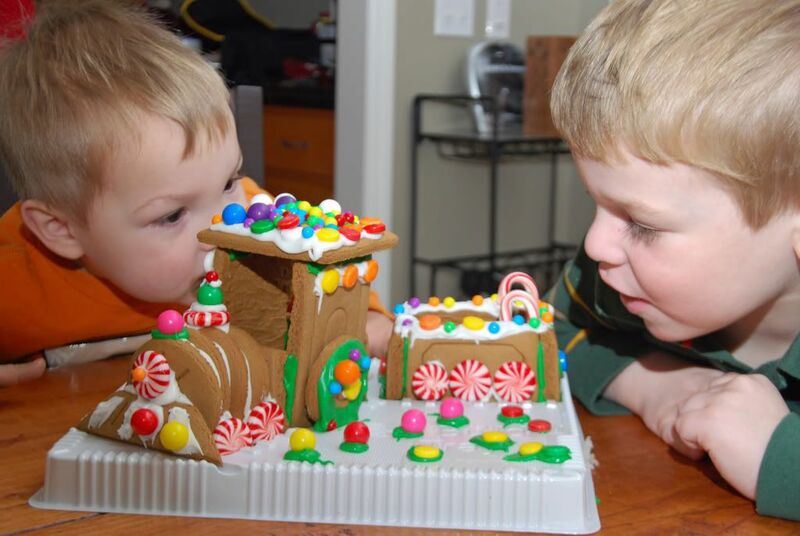 They meticulously decorated it, and are so proud of their Gingerbread Train. I'm hoping that next year we can build a gingerbread house from scratch. My friend, Jessica, is a gingerbread expert. And, she posted everything one could ever want to know about making gingerbread houses - totally from scratch! Her series "All About Gingerbreads" can be found here. Our Gingerbread Train was the perfect ending to our Christmas Cookie Countdown. It is the best, biggest, and most perfect cookie in our boys' eyes. Our lesson: Thank you, God, for giving us the best and most perfect gift on Christmas Day. JESUS! I am sure your train lovin' boys were thrilled with such a terrific ending. Thanks for doing this Sarah. I have looked forward to seeing your new recipes each day. The boys did a great job on the train. What a great end to your countdown! Thanks for doing this - I know you did it for your family, but I loved that you shared it. I know it blessed many others, including me.